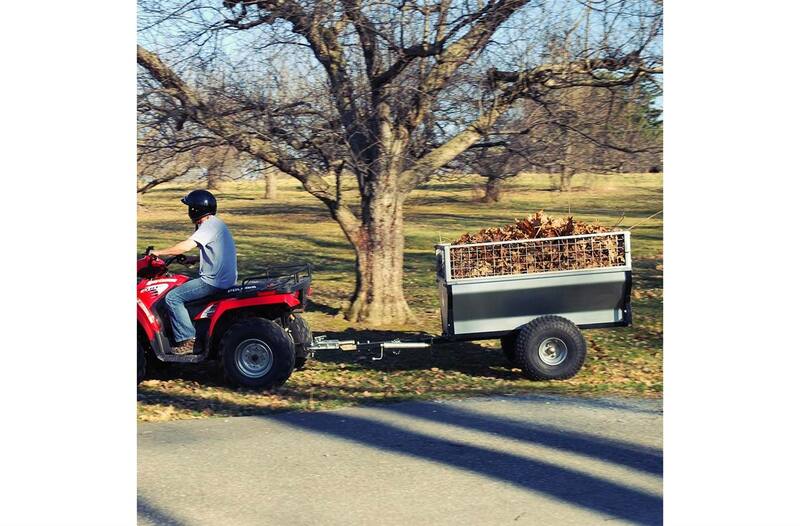 Haul and dump loads up to 1000 lbs. with ease! A steep dump angle and precisely balanced pivot point make for easy manual dumping. 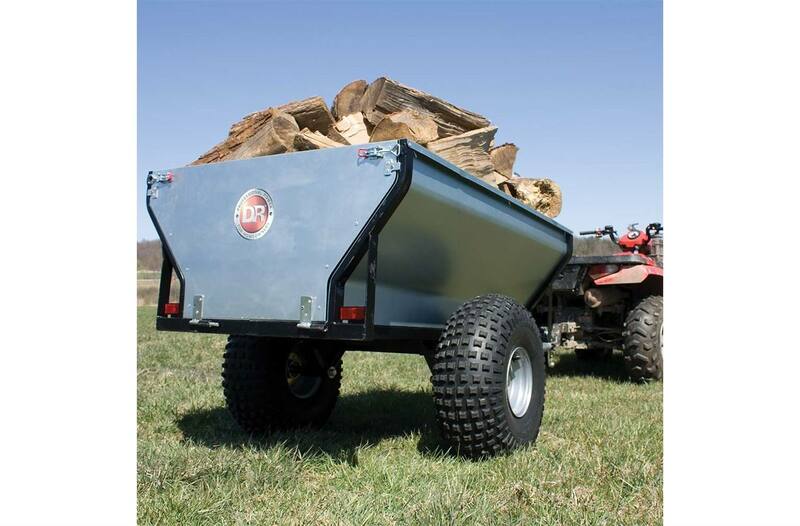 Use with ATV, UTV or garden tractor. Wall Extenders: Optional wall extenders contain lighter materials and let you pile them high. Adds 12" to the height of the Versa-Trailer's walls. Winch-Assisted Dumping: oMany so-called "dump" trailers have such a shallow tilt to their dump action that you have to shovel them out or unload them by hand. 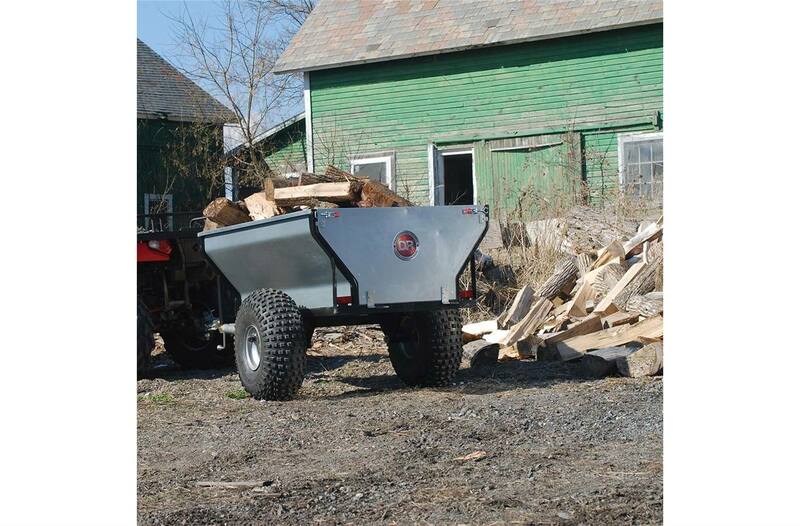 The Versa-Trailer has a steep, 35 degree dump angle that allows you to empty your full load without any manual labor. Optional winch kit assists with dumping heavy loads by attaching the cable to a hitchpoint on the frame. 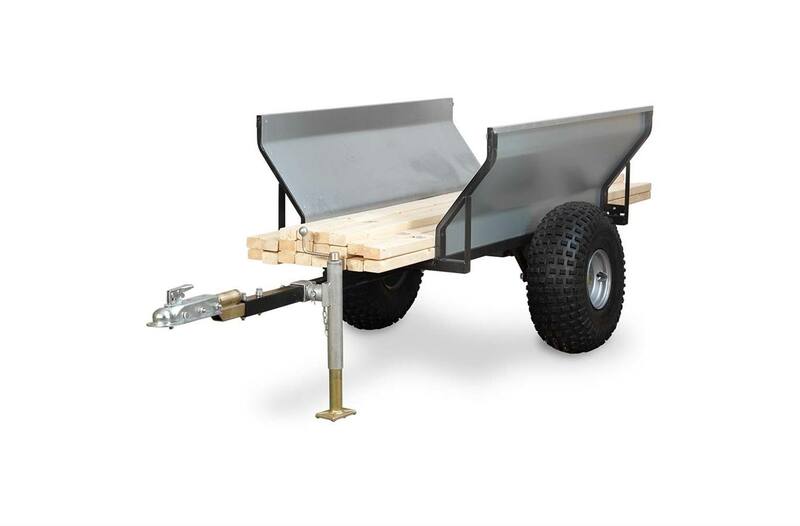 Removable End Panels: The end panels come off in seconds, without tools, for carrying log loads or for dumping. 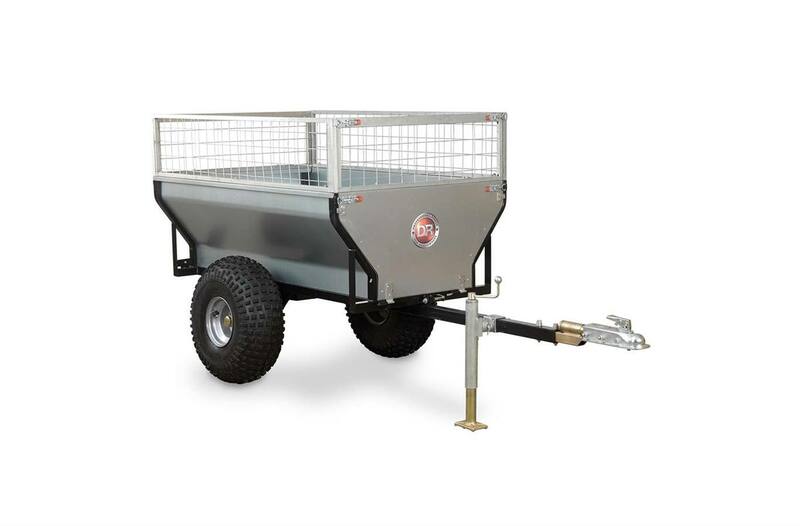 Pivoting Hitch: The pivoting hitch allows your towing vehicle and the trailer to ride independently over rough terrain without putting torque on the tongue or hitch. 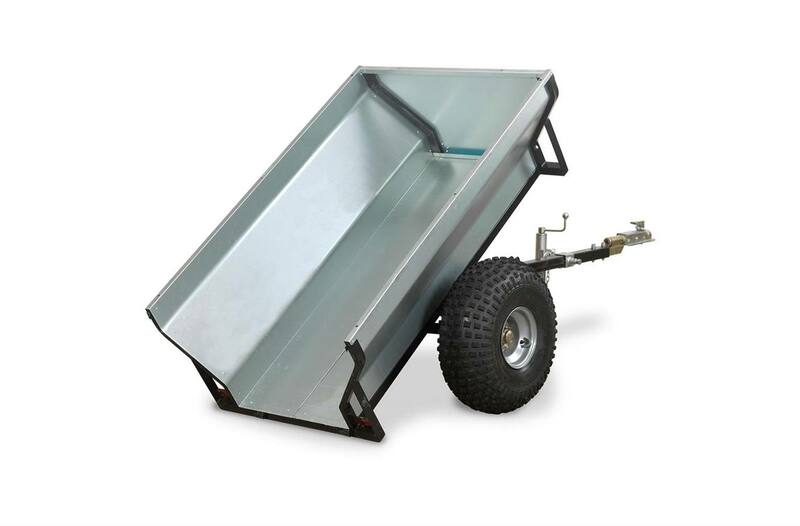 Pivoting Jack Stand: Raises or lowers the tongue, for hitching to your towing vehicle, without straining your back. 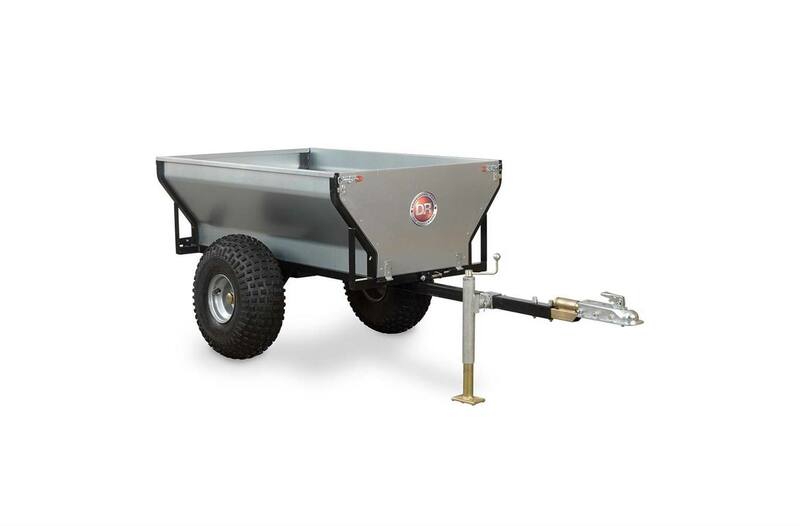 Steel Guards: Tire valves are protected from rocks, roots and stumps, so you can take the trailer into woodlots, on trails, or through meadows without worry.